Unfortunately, not much news to report on the cervical spine front, other than how much time I’ve wasted calling doctors in the Dallas Metroplex area to try to get an appointment. Almost every receptionist I spoke with said that their respective doctor would be happy to squeeze me in at the end of August, because apparently spinal injuries are non-urgent and you can just sit tight for six weeks or so. Fortunately, a Twitter referral came through for me (Caron, I owe you big time!) and I should be able to see this guy the week after next, or sooner if he has cancellations. I’m pretty psyched that he has an incredible sports background, and has probably seen it all! That said, my physical therapist in New York is amazing, and the facility seems to be really geared toward athletes and runners. 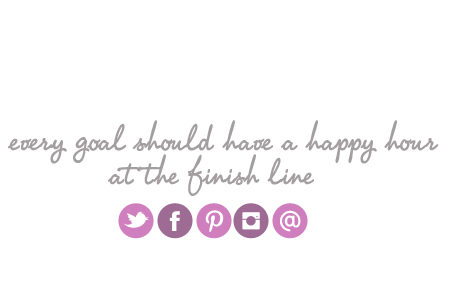 They even have a running club and tons of articles on how to run safely and injury-free. Score! This morning I went to my physical therapist armed with a list of questions that my family and friends forced me to said I should ask. Is it really safe to run? How long, how far, and how fast? How can it possibly be safe to do a high-impact activity when my discs are out of alignment – won’t that make it worse? And damnit, it can’t really be okay for her to run, is it?! But instead of giving up and just telling me to quit running (which, let’s face it, would have been a lot easier than answering all my questions! ), the good PT instead pulled out a cool model of the human spine and did a little demonstration. 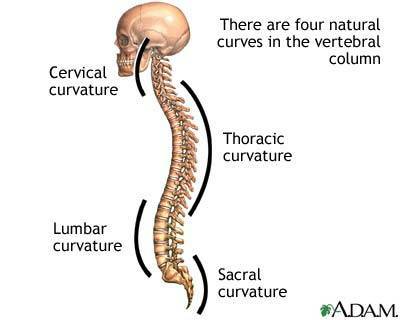 The spine normally has four curves: sacral, lumbar, thoracic, and cervical. These natural curves are there for a reason – if the spine were straight, it would break under impact/pressure. The curves are what make us able to sustain movement and bounce, because they bend a bit back and forth to absorb impact. When I’m sitting, because my lumbar curvature is (hopefully) stabilized by the chair, it’s the thoracic and cervical curvatures that are bearing my weight. My neck muscles are ridiculously weak, which explains why sitting is so painful for me – the neck muscles are trying to work overtime to hold up the big heavy object that is my head. (Fun fact: the human head is about 8% of your total body weight!) On the other hand, when I’m running, it’s the lumbar curvature that absorbs the impact – while my head and neck basically float on top (assuming they’re properly aligned). Since my lumbar curvature is fine, running is fine too. So there. I still haven’t decided whether I’m going to run the Boilermaker on Sunday (though I’m speaking at the expo tomorrow either way). If I do run, it certainly won’t be for time! While my doctor/PT told me that it’s fine to run, and I feel a lot more comfortable after hearing the above explanation, I’m still very stressed about the week ahead and don’t want to jeopardize that in any way. How am I going to fare when I’m back to work and hunching my spine over my laptop to GSD? There are a lot of logistics that still have me very concerned – like the plane ride there, going off my meds in order to be able to drive, and how well my clients/coworkers will take it when I can’t sit for more than half an hour without a standing/walking/stretching break. Whenever I think about that stuff, I can literally feel the tension start to build and my shoulders start to rise up – no bueno. I’m just going to try to take it one day at a time – which goes along well with how I’m tweaking my to do list habits this month anyway. But on Sunday morning, “run the Boilermaker” will definitely not be on my to-do list; it’ll be something that just happens (if it happens). Listen to the doctors, but think twice about any prescription meds they think are necessary. Goodluck to getting back to feeling great sooner rather than later – sounds like you are getting it figured it out!! Thanks, Danny – I hate meds too and can’t wait to be off them! It’s interesting how the spine works! Don’t stress too much about what others think when you are in the plane or go back to work. You are injured. I think it is totally acceptable that you will need to stand up and stretch! I made the mistake of sitting far too long yesterday; definitely going to try to stand more today!